Stunning & Spectacular 4ft Giant LED Letters in an elegant white finish. Our letters are battery operated so they are not restricted to certain areas in a venue to be close to sockets. They can be place indoors and outdoors and absolutely anywhere. ​Choose from 6 colours for the LED lights from Bright White, Warm White, Red, Pink, Blue and Green. 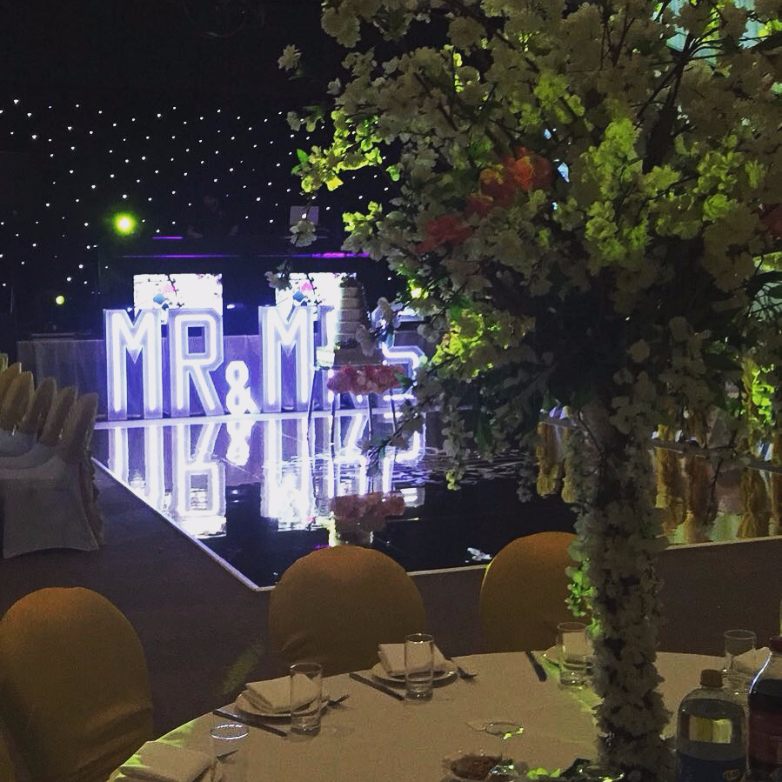 ​Any letter and word combination available from our bestselling ​"LOVE" and "MR&MRS" to more bespoke options such as your "INITIALS" or "COMPANY NAME"
​Be the first to have these at your events, parties and weddings!